Amazingly (after finding last weekend’s bird with LP on Beachy Head) I had a Black Kite! Fly west over Walthamstow Reservoirs. the ‘In Profile’, ‘active flight’ views left a nagging feeling, and the short tail appeared to lack any Reddish tones. As the bird disappeared west, I was left concluding the ID from Photos, which consistently showed; The 6 long primaries (Diagnostic of Black rather than the 5 of Red Kite) the under exaggerated fork in the dark brown tail, the broad secondaries (longer than tail length and most obvious in third and fourth shots below), darker more diffuse primary window and mask can all just about be seen in this morning’s shots. 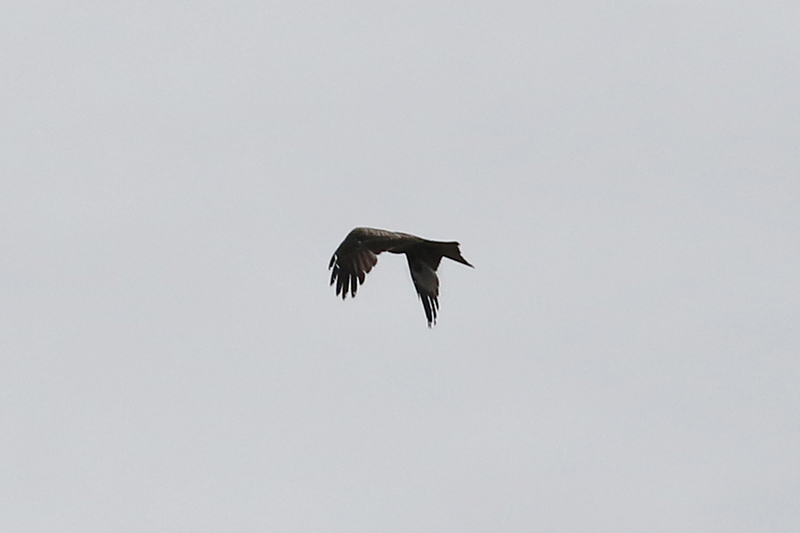 I put the news out which was followed by another 4 records of (probably the same) black Kite over a few sites in London. Its the first record for the site and nicely won back after a bird I had over my old house in Hackney 2014 that went unrecorded due to lack of photos. Next Next post: A return to winter with the Gulls and recent patch highlights.